Do you ever feel overwhelmed by the number of channels at your disposal as a modern-day communicator? What channels are the right ones for your institution? What should you say on one channel versus another? This podcast episode is all about creating and multi-purposing content in a strategic way. 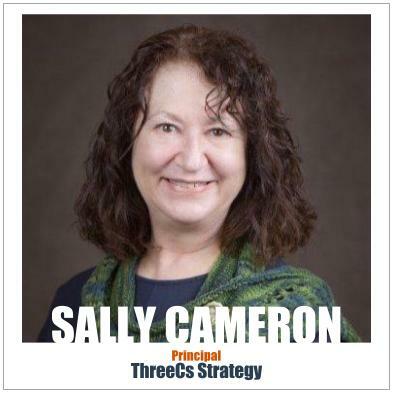 Sally Cameron, long-time community college communicator and Principal at ThreeCs Strategy, reveals how Bristol Community College used strategic thinking to categorize their content for better results. Communicate strategically based on goals outlined in the college’s strategic plan. Hold editorial meetings to discuss story ideas. Choose stories based on how they fulfill the college’s strategic planning aspirations. Catalog a list of all communication channels (social media, traditional, etc.). Decide which channels will work for your school. Example: Bristol Community College found that their students don’t use Twitter. Write an editorial policy for each of these channels. Who we are aiming at? The editorial policy should be concise, and used as internal document. Make a grid chart or spreadsheet that categorizes content based on channel, content type, audience, etc. Determine needs for each channel, such as graphics. This holds the staff accountable and makes it easier to utilize content on multiple channels. BCC was having issues in enrollment of getting new students in to do testing and advising. Not enough returning students were signing up for advisement and getting registered. Numbers were down for the Fall semester. They had people in the pipeline, but they just weren’t coming in and doing the job. If they’re not advised, tested, or registered, they’re going to end up with either no class, a crummy schedule, or in the wrong class. Sent invites to all students in the pipeline. Did some advertising around it. Enrollment services purchased lures that would drop every half hour. They set a flag, charging stations, and water stations. Research indicated the target audience was skittish about being “marketed to,” so wanted to make it fun. 500 people who were not students visited the Fall River campus to play. A number of returning students came on campus to play, and then registered for classes. New students who hadn’t signed up yet for testing or orientation played, and then signed up since they were on campus. High school juniors and seniors who came and played were impressed with the campus, and what a great place it was. It was an opportunity to take a real problem and run it through their content filter. Before you started your consultancy firm, you had quite the career at Bristol Community College. Tell us a little bit about your career journey and how you came to start ThreeCs Strategy. I am a community college communicator since 1985. I joined Bristol Community College as a single person in a public relations job. By the time I retired last summer, I had put together a staff of 14 using a variety of different tools and techniques to communicate strategically. When I retired from BCC — which was absolutely the best job in the world. I loved working there. It was a terrific opportunity for me and an opportunity to serve an industry that I very much believe in. I have picked up some consulting gigs helping other nonprofits and colleges think and communicate strategically. That’s why it’s ThreeCs Strategy. I imagine there’s a number of platforms and places to tell our stories, and that has changed dramatically since you first began your career at Bristol in the mid 80’s, hasn’t it? Oh, yes. In the mid 80’s we didn’t have fax machines. We didn’t have email or creating our own type and publications on a computer. In fact, I’m fond of telling the story that I was the first person at Bristol, who was not an administrative assistant, to have a computer on my desk. The man who hired me at the time, I told him that that was a requirement for me to go work there. My husband and I had a computer. I’d learned the value of composing on a screen, how much time it saves. It made me a better writer. So, I asked for a computer, and my soon-to-be boss said to me, “Well, I got you a secretary. What you need a computer for?” I said, “Well, because I write on the computer, and she’ll have plenty of other things to do.” And he said, “Well, aren’t you afraid of your image?” Because back then, of course, the administrators didn’t type. Now, the man who became my boss and was my boss for a number of years, saw the wisdom of having a computer on his desk. Within five years, he had one as well. The whole sort of disconnect between the — Well, not disconnect. That’s not the right word. The whole change in the way we got our work done, I saw that happen throughout my 31 years at Bristol. It was a very exciting thing to see happen. It feels like it happened pretty quickly, although it didn’t really. We had no fax machines. You had to deliver things to the newspapers. We used to print 75 press releases, and put them in 75 envelopes, and mail them with 75, first-class stamps. By the early 2000’s we were, of course, emailing, just like the rest of the world was. Newspapers were still nervous about getting things by email — at least in my area. Seeing all the different ways that technology took away the sort of nuts and bolts of our job, and let us just do the storytelling. Just do the conceiving of terrific ideas, and not then have to type them or use carbon paper — any of those issues — it was just an amazing change. I was very pleased that, at Bristol, I was able to keep up with it. I had presidents who believed in what we were doing. With these advances in technologies, it’s obvious we can actually do more. We can get more done. There are more platforms available to us now, but there’s got to be some drawbacks to that as well. What’s difficult about being a communicator in this day and age? I think that one of the things that people who are in the fields now, who are younger than I am, who came up as digital natives, they don’t realize how much more time we needed to get things done. I guess, the drawback — it’s a very minor drawback. I think it can sometimes be stressful and awful to have to turn things around. You used to be able to do a four-color brochure in a month and a half with printing and with all the proof checks, and somebody else typesetting it for you. Now, you can turn it around in a day and a half, print it on your own printer, and get it out to people. Print-on-demand is much more obvious. I guess the only thing I would say is the rapid pace of how communication has changed. You don’t have a lot of time to make decisions. You need to think strategically. To have tools that help you to not have to go into big discussion or big thought process to get something done. And that’s one of the ways that I communicated at Bristol. I had a filter that I used based on our strategic plan that helped me decide what stories to do, what stories to tell, and how to tell them. Social media, it moves so fast. I think it’s really easy to fall in this trap of winging it. Because you can publish everywhere, should you? How did you, at Bristol, go about deciding this? I think that one of the problems with social media is that it is so fast, as you just said. You can make mistakes pretty easily. My staff was scandalized over a weekend. I posted on, what I thought was my own Twitter, a photo of my cat and my fresh pedicure. Two of the people who monitored Twitter over the weekend were just scandalized, of course. They were right to be, so they took it right down. But that was just a mistake I made because I wasn’t paying attention to what I was logged into. Those sort of things can happen. One of the things that I tried to do, and our staff would talk about in our weekly editorial meetings, is that the point of our job in college communications was to communicate strategically based on what the college is trying to portray itself as. For me, I used our strategic plan. I served on the strategic plan committee. I chaired the strategic planning committee for a time. And the whole point of a strategic plan is to set the bar as to what you were going to be. What are you, the college, going to be like? What I did was to look for ways in the various stories and various channels that we had, to multipurpose the stories based on the department’s content producers. We had four, different steps that we’d go through. That way, we could plug these stories in in an appropriate way and with appropriate language for those channels. Without that, you have to think, “All right. Here’s a story. What am I going to do with it? Why am I going to do it?” In order for a story to rise to the top of our editorial meeting, it needed to illustrate at least one of the college’s strategic planning aspirations. Actually, a real benefit to that is if somebody came to you with a story that didn’t do that, you could say, “No.” Or, “Prioritize it differently.” This way we could be sure that our department was telling the stories that illustrate who the college says it is. That’s such a really neat concept. It gives you that vehicle for filtering out content. It gives you the ability to still move fast with your content. But also, you’re still doing it in a very purposeful, strategic manner. Yes, and there’s just so many different things that happen in a college. Any robust college has more stories than you can possibly tell. How can you use those stories to illustrate all that you aspire to be? All that you are? And to do it in an efficient way, an authentic way? That was some of the tools that we were able to develop at Bristol. The four, major aspirations that you had in your strategic plan, and I hope I’m not putting you on the spot here, but what are those? Cameron: You know, I have them committed to memory. Cameron: Successful students was one. Sustainable growth and change was two. Engaged campuses were three. And strong partnerships were four. Okay, so if you were going to go out there, and you’re going to post something to Twitter, you would ask yourself, “Does it meet one of these four, different aspirations here? That’s correct. A very big example I can use is a story we did in July of 2016. We and every other community college jumped on the Pokémon GO idea. We were having issues in our enrollment of getting our new students in to do testing and advising. And we were having an issue with returning students signing up for advisement and getting registered. Our numbers were down for fall. We had people in the pipeline, but they just weren’t coming in and doing the job. So the aspiration there is successful students. Because if they’re not advised, if they’re not tested, if they don’t register early enough, they’re going to end up with either no class or a crummy schedule or in the wrong class. From an enrollment standpoint, we were very concerned about getting students to campus. At the end of July, we ran a Pokémon GO meet up on the Fall River campus. We sent out an invitation to all of the students in our pipeline to come, and we did some advertising around it. The enrollment services people purchased lures that would drop every half hour. Pokémon GO is now dead and gone, but lures are things that would get people to find their Pokémon that they don’t have collected yet. We set up flags, charging stations, water stations — it was July — and we had looked into it ourselves that the people … Everyone was doing Pokémon meet ups. The target audience was skittish about being “marketed to.” We wanted to make it just a fun opportunity to get people on campus because our students are busy. We think that they don’t have the time to come and get on campus. If we get them on campus because of something fun, we were hoping that that would expose them to some of the things they needed to do. Medford: What were the results of that? Cameron: Well, we were really pleased with it. From the community engagement standpoint, 500 people who weren’t students visited the Fall River campus to play. Cameron: And a number of returning students came on campus to play, and then registered for classes. They said, “Oh, you know, I’m here. I might as well get this done.” From a recruitment standpoint, the new students who hadn’t signed up yet for testing or orientation, they played, and then after helped to get signed up since they were on campus. And this was the one that was great fun: we had high school juniors and seniors who came and played. And they chatted with staff members who ran the charging tables. The staff reported that it was their first time on campus and how impressed they were with the campus and what a great place it was. Then, from a marketing standpoint, we got a reporter to come. He ran a great, front-page story. It showed how awesome BCC is. It was an opportunity to take a real problem, and run it through our filter, and find different ways to tell the story because every channel doesn’t meet everybody. We were really pleased with the results. Some smart marketing right there. There are so many different communication channels that can be used. To me, it’s hard to even remember them all and to keep track of them all. How do you recommend colleges keep tabs on them, so that no channel is forgotten? I think that every channel is not necessary. The best thing to do, from my standpoint, is to catalog the content channels that are available to you. Not everybody wants to use Snapchat. Not everybody has the photos that are going to make Instagram really sing for them. What you need to do as a department is to catalog those content channels. Figure out which ones are going to work for you. For example, at Bristol, we had a Twitter channel. We used it, but through trial and error and through media preference surveys, we discovered that our students were not using Twitter. That’s our students. That’s not everyone students. But our students weren’t using it. We moved our Twitter channel to be more to government officials, to media. To the sort of opinion leaders and people who won’t be enrolling at our school, but will be telling stories about us and promoting our reputation. What we did was to catalog all of those different things, and then write an editorial policy for each of those channels. For us, as I just said, Twitter is not a good student contact. So what we put on Twitter is aimed at those media people, the government officials, local businesses who are following us and want to keep track of some of the thought leadership that we have. How do you make sure that the channels are being used appropriately? That is where a community college communicator needs to apply his or her knowledge and wisdom to figure that out. I just explained about Twitter. We did research and discovered that Twitter is not being used by our students. That helped us determine that the things we put on Twitter were to generate stories. Or to have the governor see that we are fulfilling the sustainable growth and change piece of our mission, our strategic plan. Medford: Each channel, essentially, gets its own editorial policy. Medford: So, I guess explain what’s the process behind developing the editorial policy. I mean, is this like a 10-page guide for what you can and can’t do on Twitter? Or is it more concise than that? Here’s my editorial policy for Twitter: Primary audience is media and government leaders and organizations. Includes short illustrations of strategic messages. Goal is to be retweeted. So, the editorial policy is who we’re aiming at, what we’re saying, and what our goal is. Medford: I like that. Just keep it short, simple, and people will actually use it. Cameron: Well, right. We had 12 regular channels that we used to communicate. You just can’t possibly have one page for every one. This isn’t something the other people were using. It was what we were using. And as communicators, we understood what these things meant. Again, it’s a tool that the staff can use if I’m not around. If the web master’s not around, we can still get these things done without waiting for the “expert” to come in. We’re not just talking about social media here, right? There are channels that you need to have on your channel list and have editorial policies for, that you might not necessarily think of as a communicator. Well, “nobody knows about it” is not a good reason for it to be on the homepage. The reason for it to be on the homepage, our editorial policy is, if information does not support enrollment and retention it goes elsewhere. And what I can do, my staff could do, is then work with that person to figure out what they really are trying to do. Why do they want that program promoted? If it is enrollment, if it is to put butts in seats, well, then there’s more than just the homepage we need to do. So, it gives us some thinking points to help solve problems for people, which is what I think community college communicators need to do. You created a very useful content chart. Explain kind of what it is, what it looks like, and how you guys implemented it at Bristol. Yeah, it was really a very low-tech chart. Other people would probably use Excel to manage this thing, but I couldn’t use Excel very well. So, I just made a chart, a grid, that had all of our different tactics, all of our different channels across the top, and places to write our stories down the side. Then we could just go through the grid and mark whether we’re going to write a press release about it. Whether we’re going to put on our electronic monitors. If we need to design a graphic for our electronic sign at the Fall River campus, etc. That way we had a very easy-to-look-at tactics plan for where we’re going to put things and how we’re going to do it. Because we’ve already decided what the editorial policy is we don’t have to debate whether something goes on Facebook or not. If it’s news about the college, it goes on Facebook. If it’s about enrollment and retention, it goes on the web on the homepage. Or maybe we create a spotlight story for them. We just had lots of different tools that we had curated. We never had to sit there and think, “Okay, have I covered this?” We could just see it in our grid. Medford: Did you feel like this kind of helps you make sure that you multi-purpose content? Cameron: Yes. Absolutely. And it holds the staff accountable. Different people had different pieces that they did. If we needed a graphic, the graphic designer would need to have it done in the various sizes and shapes that we need to use to put on the electronic sign, for example. That has to be very, very simple. No words can be in it. It can just be a picture of some sort. And then somebody, usually it was me, had to plug into the graphic the words so they could be seen. All of this was, again, just a tool. It didn’t keep us lockstep. It more kept us accountable to the different things that we knew needed to be done in order to communicate in a very multi-platform world. If somebody out there would like to get in touch with you about your consultancy services, how’s the best way for them to reach out to you? My email is sallycc@comcast.net, and I’m glad to talk with anybody about that. Sally, thank you so much for coming on the show today. Well, thank you. I appreciate the opportunity, and I think that community college communicators rock, and I hope that this helped.